Lanzo Trenchless Technologies (formerly Lanzo Lining Services) was established in 1993 to provide a cost-effective, less invasive alternative to replacing failing underground infrastructure. We were one of the first companies worldwide to use trenchless methodologies and continue to lead the industry with our innovation in design, expertise, and experience. Lanzo maintains that spirit of innovation by constantly expanding its services, equipment, and methods to deliver high quality and long term solutions to our private and public sector clients. 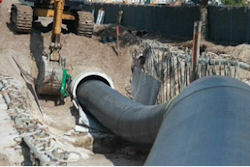 Our time-tested and proven experience in all forms of cured-in-place pipe lining methodologies (CIPP) has made us one of the premier lining contractors in the U.S.
To date, Lanzo Trenchless Technologies has installed more than 10,000,000 lineal feet of sanitary sewer, force main, storm drain, NSF 61 potable water transmission, large diameter and non-circular CIPP applications throughout North America. We are expanding our services to include Central and South America. 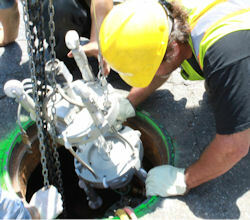 For information on CIPP technologies or underground infrastructure rehabilitation solutions please contact Fred.